China and Russia planned exercise in the Baltic Sea is raising eyebrows in northern Europe, NATO headquarters and Washington. Dubbed Joint Sea 2017, the China-Russia maritime exercise in late July will see the introduction of a People’s Liberation Army Navy destroyer, frigate, and a support ship into the Baltic Sea. The PLAN flotilla will join Russia’s Baltic Sea fleet off St. Petersburg for joint drills. Joint Sea 2017 follows on the heels of the latest iteration of BALTOPs, a U.S. Navy Europe-led annual exercise that in mid-June brought together some fifty ships and fifty aircraft — including a B-52 and a B-1 — from the U.S., Germany, Denmark, the Netherlands, the United Kingdom and other allied navies. The two-week naval exercise focused on high-end maritime warfighting drills in a corner of Europe that has been tense ever since Russia’s annexation of Crimea in 2014. The Baltic Sea has also been a space for close encounters between Russia and the United States over the last few years, both in the air and maritime domains. USS Donald Cook was repeatedly buzzed by Russian jets while operating in the Baltic Sea in 2016, and U.S. reconnaissance flights over the Baltic have repeatedly encountered Russian interceptions, with the Russian jets performing close maneuvers and showing off their weapons load outs by turning the underside of their wings towards the U.S. aircraft. Amidst the tension, Joint Sea 2017 has caused consternation in northern Europe, and generated speculations about whether yet another great power is seeking to insert itself into an already on-edge region. 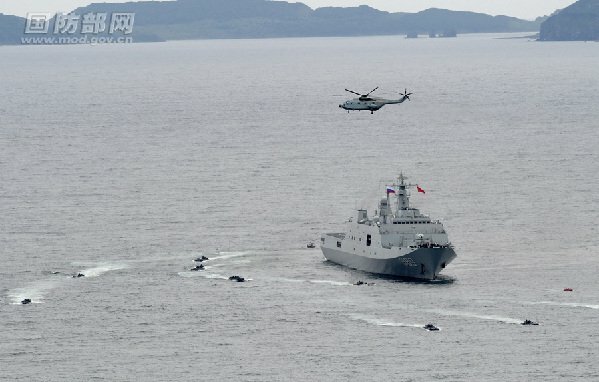 The exercise in the Baltic may be seen as a subtle signal of Chinese support for Russia’s efforts to reshape the European security order; in a fashion not unlike the one being used by China in the South China Sea dispute. 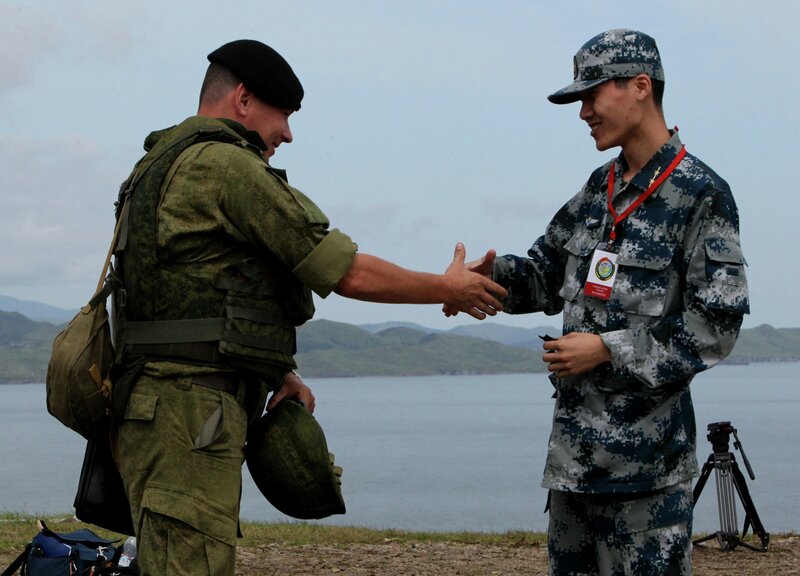 But the Chinese presence in the Baltic Sea for a joint exercise with Russia is not necessarily connected to the ongoing contest between a US-led NATO and a revanchist Russia. Instead, the Chinese presence in the Baltic Sea could be seen as forming part of China’s growing sense of global interests. And this is not the first time that the PLAN turns up in European, or even northern, waters. In May of 2015 Chinese warships conducted exercises with the Russian Black Sea fleet in both the Mediterranean and the Black Sea, and later the same year a small flotilla of Chinese ships passed through the Kiel Canal for the first time on their way to port visits in Poland, Finland and Denmark. 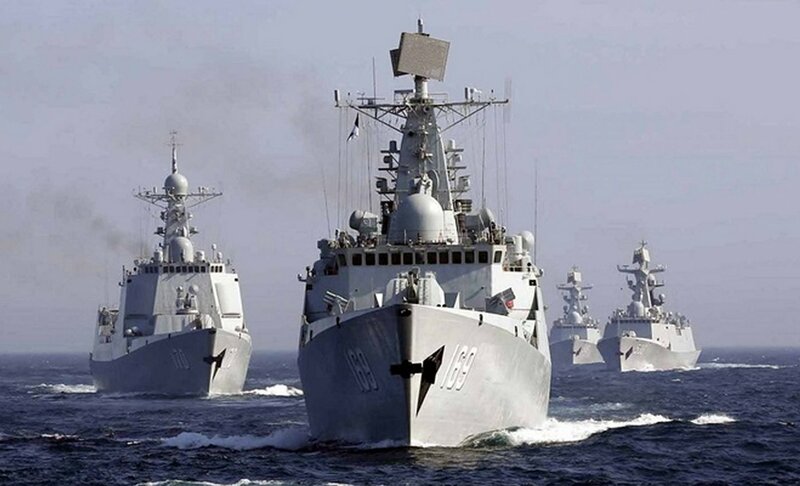 Chinese warships on counter-piracy patrols off the Horn of Africa have also entered the Mediterranean from time to time to make port calls in Greece, Italy, and Spain. But China’s maritime presence around Europe has not only been about port visits and exercises; in 2011 the PLAN, while in the Mediterranean, directed a major non-combatant evacuation of Chinese citizens from Libya ahead of the uprising and air campaign that felled the Muammar Gaddafi regime. The Baltic is not unimportant to China and Beijing is eager to ensure that its ships have access to the global maritime domain. The Baltic Sea provides an outlet to the North Sea and the broader North Atlantic for northern and eastern Europe and some 10,000-cargo ships transit the Baltic on an annual basis. If the Russian vision of an Asia-Europe shipping route across the Arctic ever becomes reality the Baltic would provide convenient access to ports and markets in northern Europe. And while China’s interests in Europe and the maritime domains around the continent may be primarily commercial in nature, economic linkages tend to attract a naval presence as well. And naval power has a diplomatic quality to it, which is being used to forge ties when Chinese ships call in ports around the Baltic Sea and the Mediterranean. China’s maritime focus will surely remain on the South China Sea and the Pacific for the foreseeable future, but the occasional presence of Chinese warships in European seas will likely be part of a new normal. It is yet another sign of how the world is increasingly competitive and contested, including in the maritime domain.